“We are all artists. We create with every thought, word, action, and feeling we have. We all have our own “art form”, we just need to embrace it and go with it – make it our life’s work." 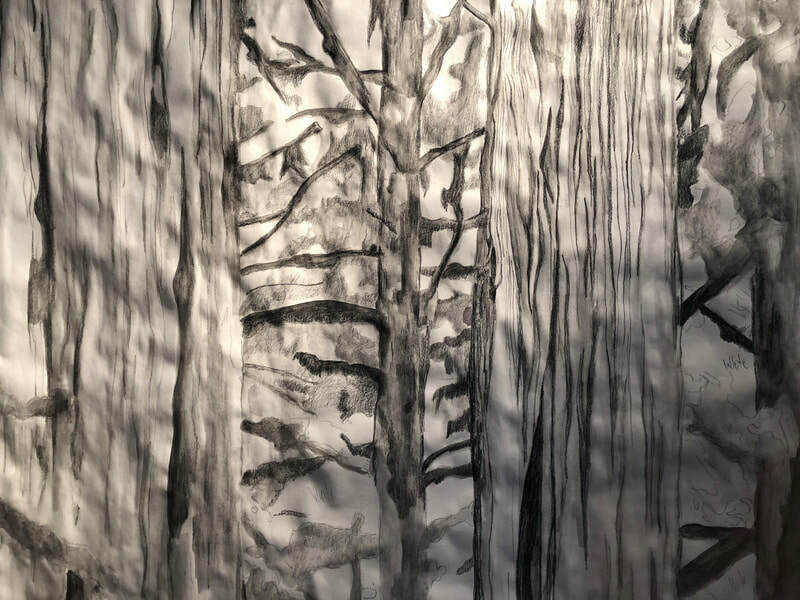 Angela Walsh is not only a faculty member of our school community, she is also an artist who chases dreams and follows her heart. Ms. Walsh came from the Ottawa Valley in Ontario. 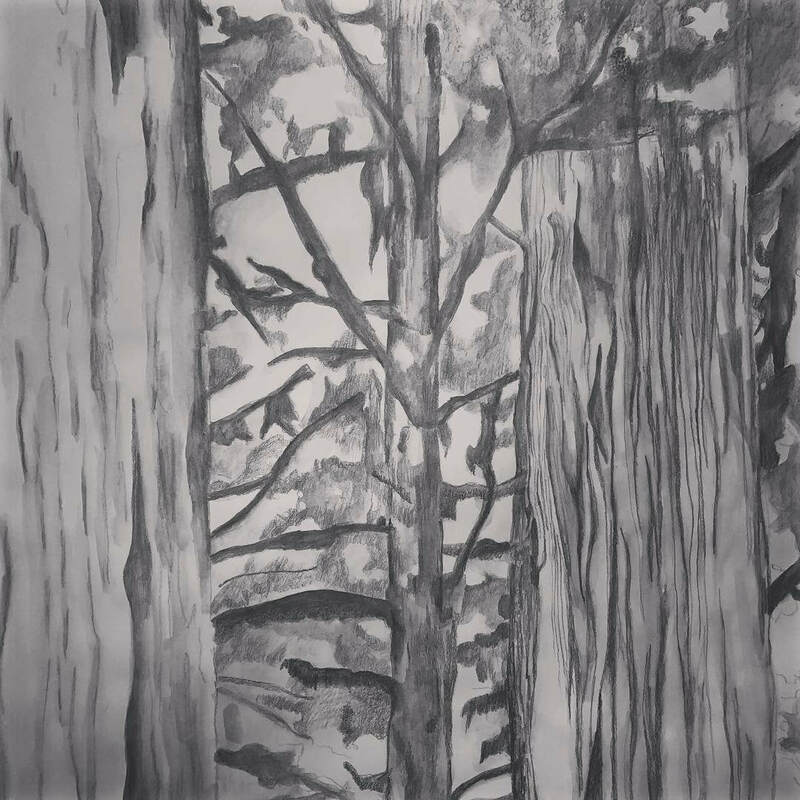 She was raised in a family where her grandfather was quite an accomplished painter, and her grandmother was the owner of a local art gallery. During her childhood, Angela always grew up wanting to be a teacher, until she noticed her “Walsh-artist-gene” in Grade 9. She later decided upon what she thought was a “practical career”, Interior Design, intending to make a living a designer. But Angela soon realized that Interior Design was not her cup of tea. 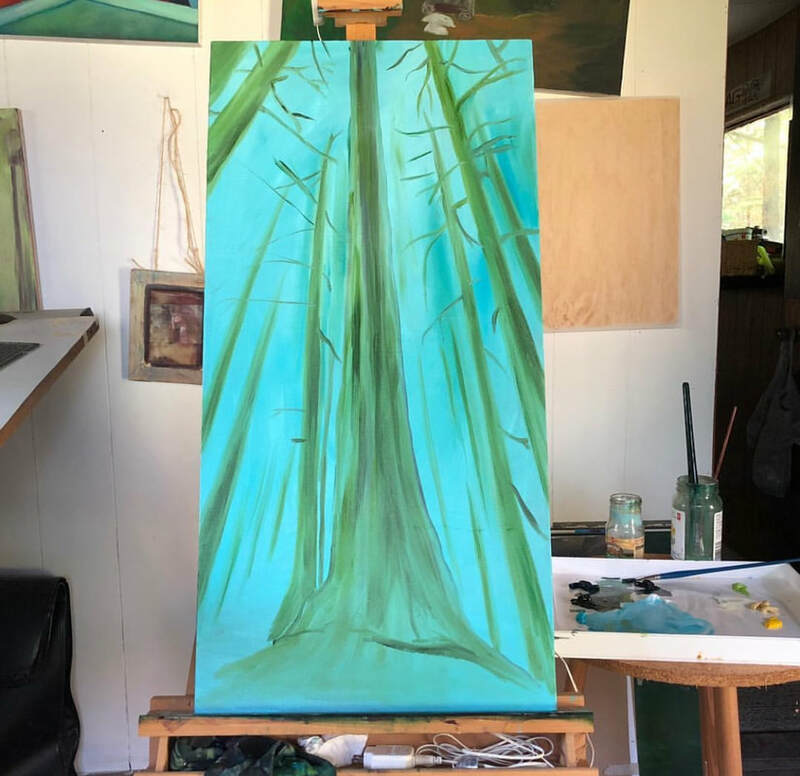 The only class that she truly enjoyed was her drawing class, so she moved on to the Queen’s University BFA program and spent four amazing years in Ontario Hall learning from some of the best painters and printmakers in Canada. Her strong desire of being a teacher from her early years then took her down the path of Art Education. 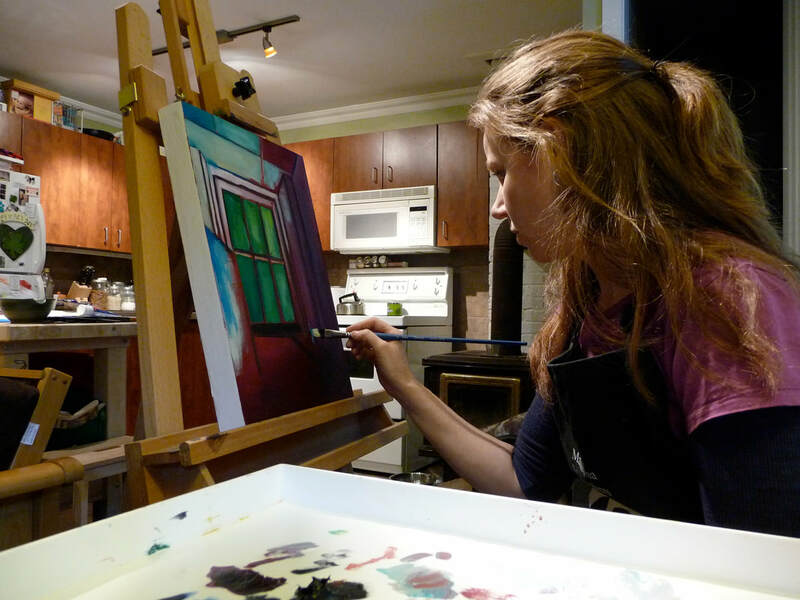 Eventually, she graduated from the Queen’s Faculty of Education in 2003 with a B.Ed in Artist in the Community Education. Angela currently lives in Squamish, and loves being outdoors! During her free time, she’s an avid skier, mountain biker, hiker, and camper. She also loves to travel around the world to see as much art and architecture as she can. In addition, some of her hobbies are playing the guitar, singing, cooking and baking. One piece of advice the artist would like to give to her peers is whether you’re working in a “traditional” art medium like paint, photography, dance, arranging musical notes or you are destined to work in engine parts as an auto-mechanic or “paint with the brushes” of law as a lawyer, let your passion be the thing that makes you want to get up in the morning. Make that your life’s “artwork”, and then the money and success will follow. There are three major influences in Angela’s life. Her first great influence is her Grandma Joan. She is the kindest, most generous, and most genuine human being who never loses faith in anything or anyone. Her grandma had a big fall last year and broke her tailbone, and just a few weeks ago she had a stroke. Through it all, she has been a go-getter who never gives in. Angela’s second influence is her father-in-law who is currently dying of cancer. Through the entirety of a tough journey, he has not lost his witty sense of humour and has shared many words of wisdom about living in the present and not letting opportunities pass you by because before you know it, it’s over. Finally, her husband Steve is a huge influence for her; he is her biggest fan, and this artist is just so grateful for him. ​As for artistic influences, Angela has to say that she is greatly influenced by the artwork of Betty Goodwin and Emily Carr at the moment. She also continues to be drawn to the show Art21: “There are so many great contemporary artists out there right now to be inspired by!” Angela highly recommends this PBS series to anyone wanting to learn more about what’s going on in the contemporary world of art. 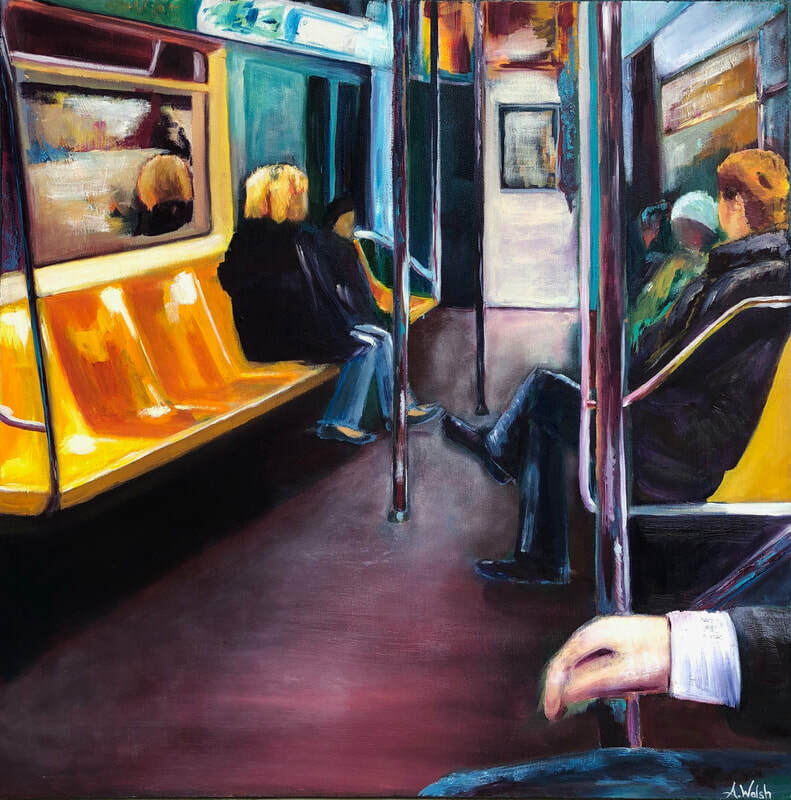 Primarily, Angela Walsh is an oil painter. 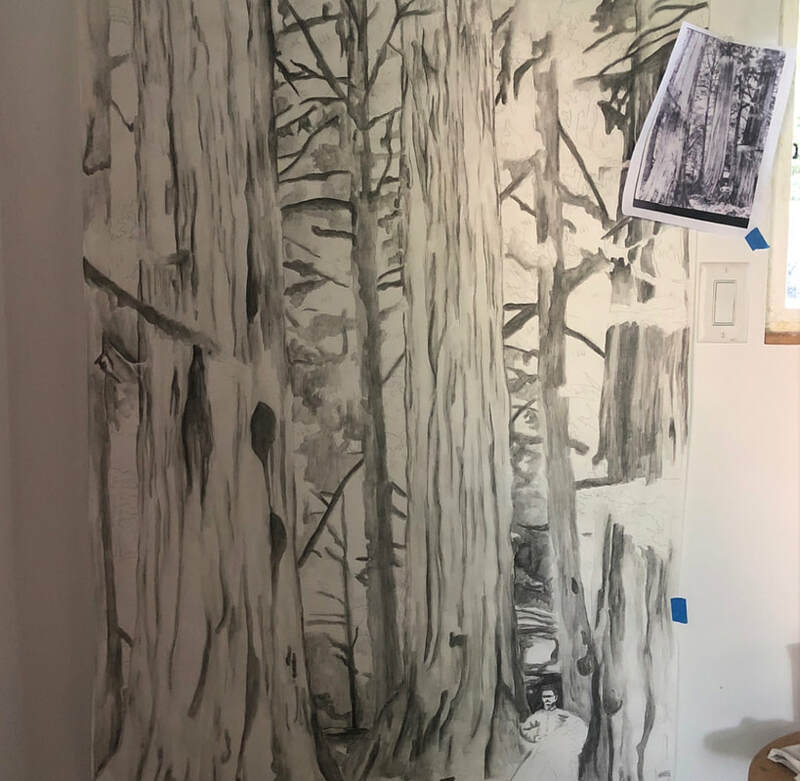 However, she has lately taken on a big project – 3 large (3x5 foot) graphite drawings. 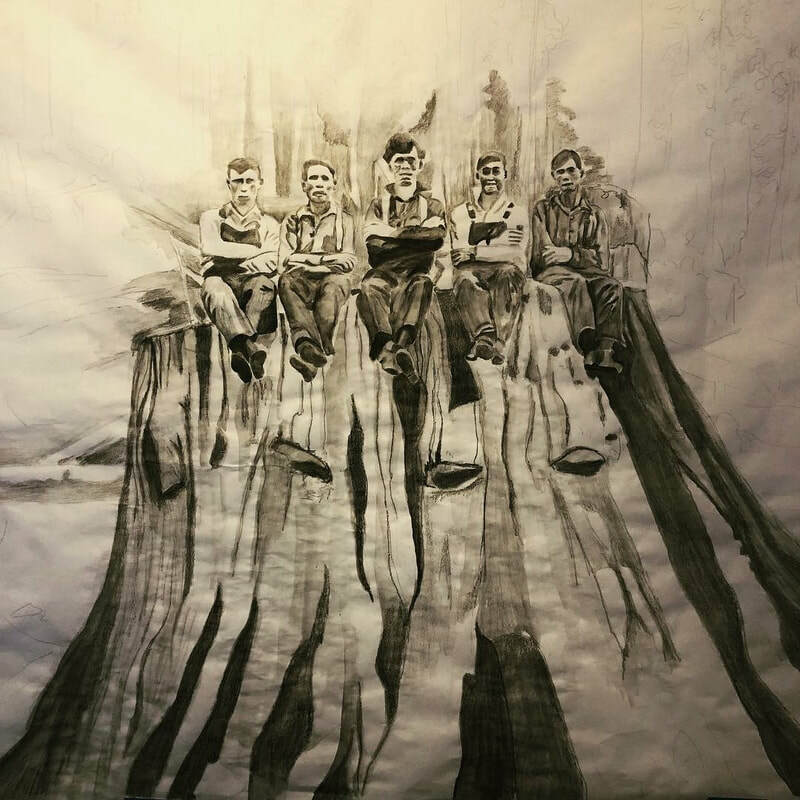 She is also a printmaker with a special love for lithography. 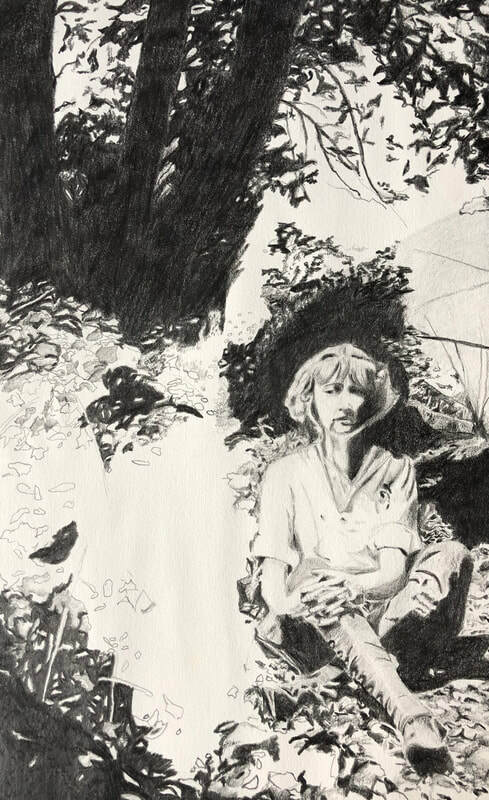 Her current work is generally representational. However, she tends to get pretty expressionistic with her colour and rather impressionistic with her brushwork. At the moment, this artist has two projects on the go. The first one is her “Lost People” series. A few years ago she found some old photo albums in an antique store with all black and white photographs of strangers. 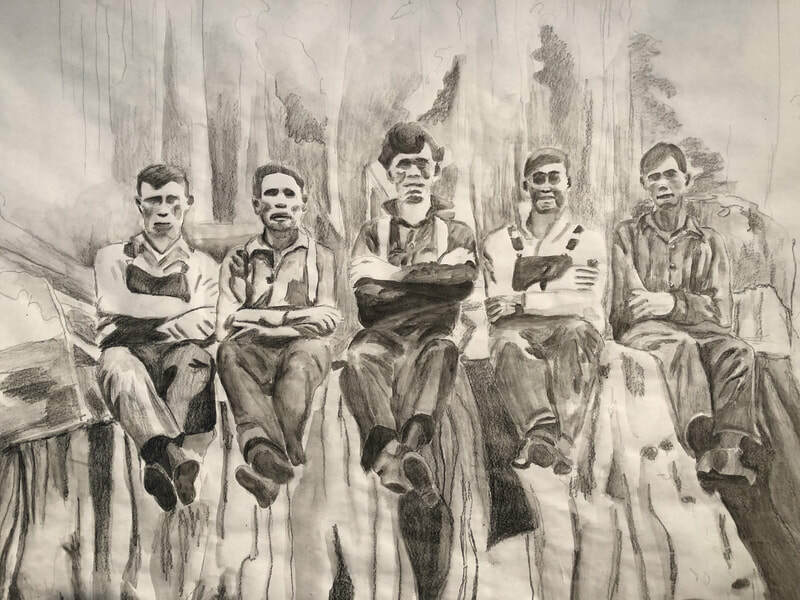 She is not 100% sure how the series will pan out, but she’s started with a few graphite drawings, paintings on stretched silk using the people in these photos as the inspirational imagery. 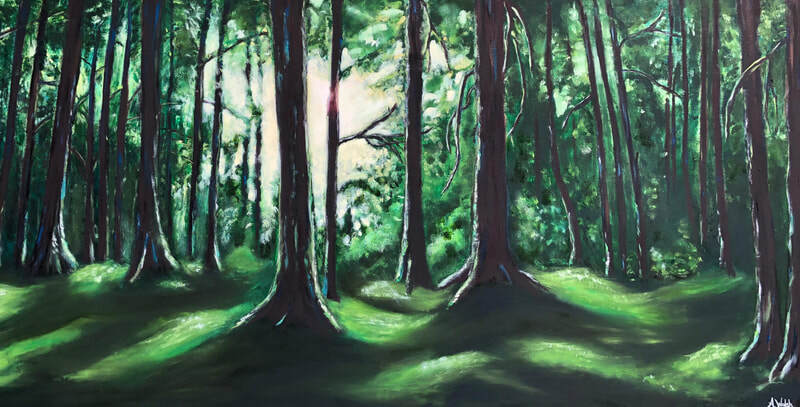 In recent years, Angela has exhibited her work with her art teacher colleagues at Collingwood School. In the past, she has shown her work at Malaspina Printmakers on Granville Island, and art galleries in Kingston, Ontario. 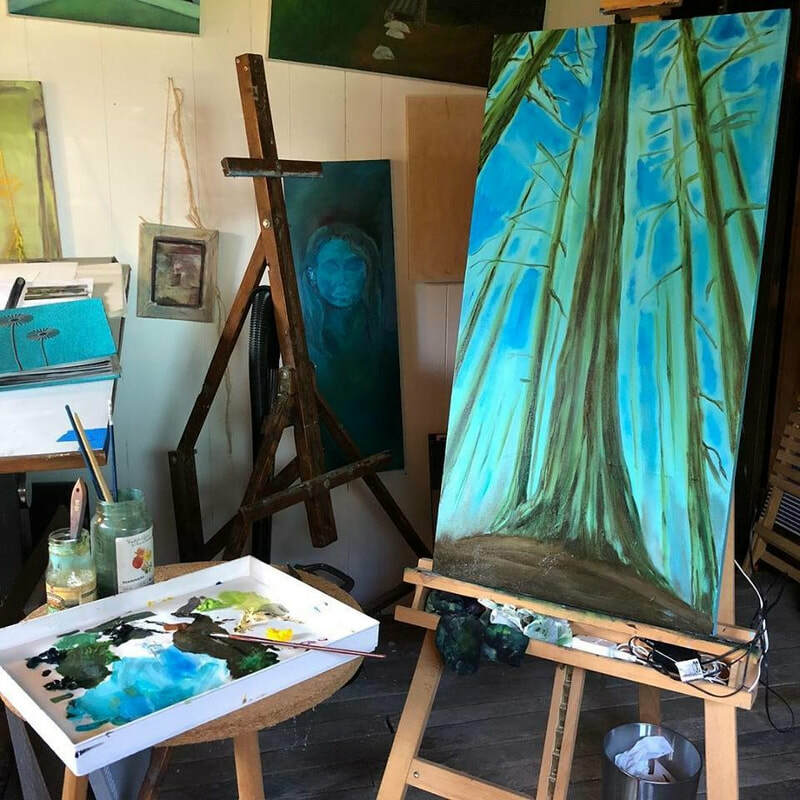 For exhibitions in the future, she hopes to apply for shows at a few local gallery spaces in the Sea to Sky region once she completes a larger body of work. In the end, Angela was lucky to have been able to kick-start her artistic practice again with the sabbatical she was granted last June. She has grand plans to finish both project series and to KEEP MAKING ART! Let’s wish Angela Walsh success in the future with every step she takes down the road of art.